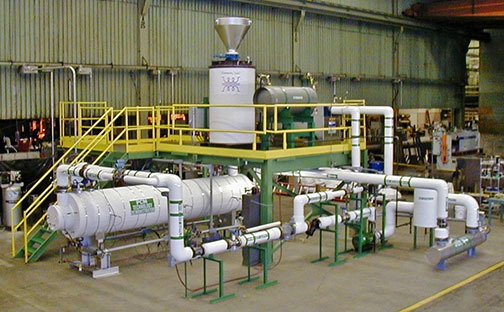 Wellman Furnaces has the capability to work with clients who have a concept for a process or system which requires the design of practical equipment for commercialization. We can do the necessary thermal and mechanical analyses, mass and energy balances and design and/or size the basic necessary components and integrate them into a workable system. One such project performed for a client is shown below. Wellman Furnaces designed, built and operated this pilot facility in order to test a heat storage material and a process concept for use in extending the capability of existing power distribution transformers and other applications.